You have, by now, heard the tale of woe from the Argonaut. Finally, some good news. 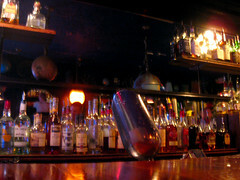 Tonight, they’ll reopen with a tavern license, which means that they’re open for business for drinks only. That means tasty beverages of many types, and a sweet patio for sitting. After all their troubles, head on over tonight? It’ll be good for your karma.